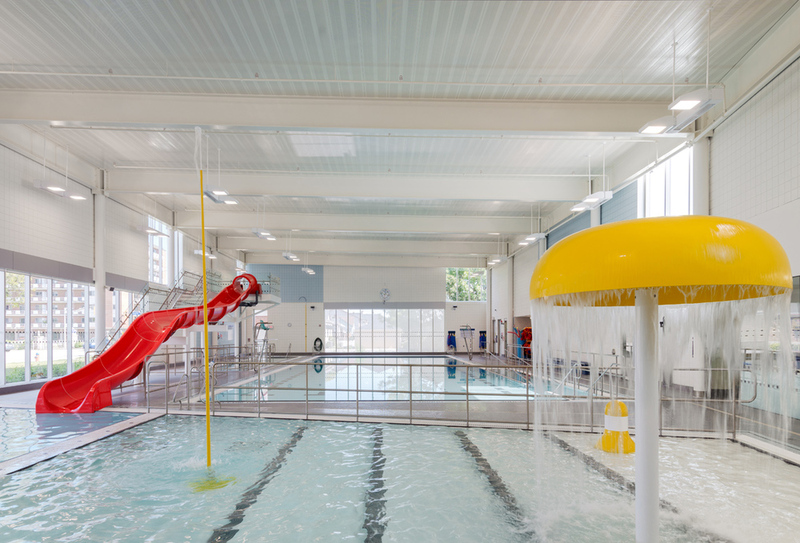 This 42,000 square foot aquatic centre for the historic neighborhood of Stoney Creek is conceived around three double-height public spaces: the lobby, the natatorium, and a multipurpose community room. Each is defined by exposed steel post and beam structures, with a unique colour identity, lighting scheme and finish palette. 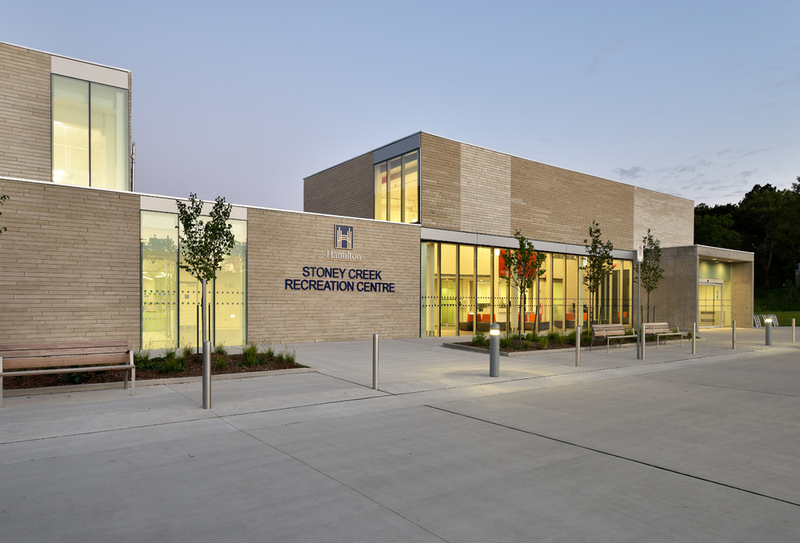 Clad in Indiana limestone as a sympathetic gesture to the nearby Battlefield Monument commemorating the war of 1812, the recreation centre shares its site with a public park and an existing community arena. As a result of the two facilities’ complimentary schedules, the addition of new parking was minimized, allowing most of the park to be preserved.